Fresh Ink! Lovin’ this skull customized with natural elements. 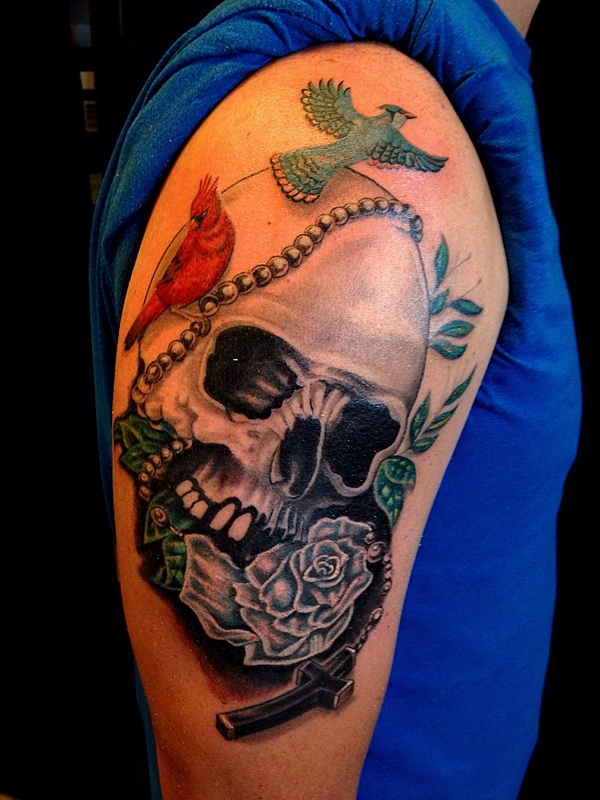 The birds add movement and color in addition to the texture of the skull and the black and grey contrast of the rosary and cross – all coming together in one cohesive piece that flows.